Every year media from around the world gather in a small room at the BNP Paribas Open at Indian Wells as the ATP & WTA parade in the top players competing at this years tournament. One after the other in no particular order, players gather at a small table and field all sorts of questions on a variety of topics. From on court to off court, positives and negatives, politics and drug tests and even questions about food. “In Russia we have every second joke is about Trump…like Trump being sent to here by Putin. Novak Djokovic and Rafael Nadal were not on hand for today’s media session. 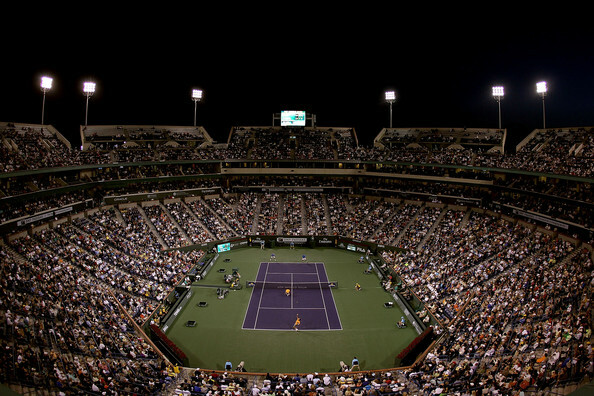 Both players are expected to speak on Thursday ahead of their first matches at Indian Wells. Can Juan Martin Del Potro Be A Serious Threat in Grand Slams In 2017? Alexander Zverev’s poor recent form continues as he goes out in Barcelona in three sets to Nicolas Jarry. 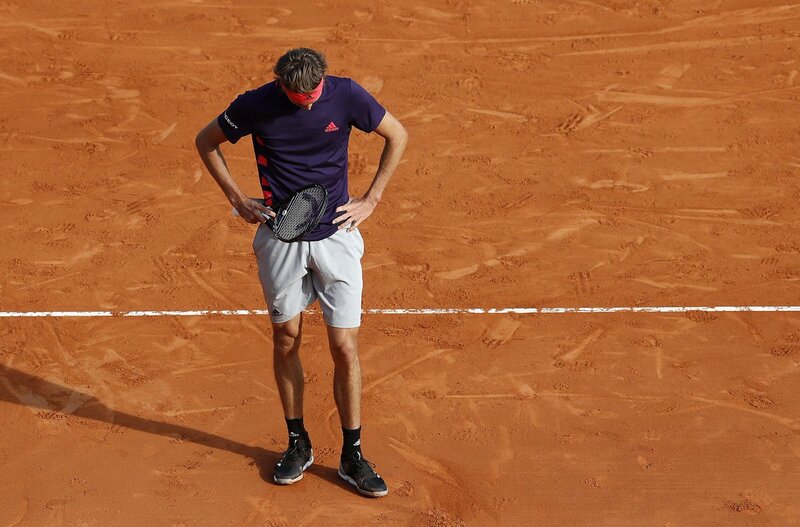 Alexander Zverev continues his poor 2019 season after losing 3-6 7-5 7-6(5) in Barcelona to Nicolas Jarry. The German battled back from a double break down in the final set however after wasting a match point, couldn’t beat the powerful Chilean. It means that Zverev has only won three matches in five tournaments since reaching the Acapulco final, where he lost to Nick Kyrgios. It was a positive start for the recently turned 22 year-old after he played fairly aggressively and took the first set 6-3 with some great play. After a consistent first set, the German failed to control the match to his tempo as Jarry rallied back in the second set with some aggressive play of his own. The Chilean brings an aggressive game to the court and has the confidence to beat anyone on his day although he is yet to win an ATP title. A run of five games saw Zverev’s confidence get knocked as Jarry levelled the match and stormed into a double break lead in the decider. If there is a positive to take from the ATP Finals champion’s play today, it’s the fight he showed to rally back and show some much-needed energy. After breaking in three consecutive games it was a controlled match from both as this was a big match for both in their respective seasons. A simple backhand miss on match point didn’t help Zverev as the world number 81 forced a final set tiebreak to settle the match. In the end after a nervy 12 points, it was Jarry who kept his cool to earn one of the biggest wins of his career as Zverev continued his bad run of form. Since falling ill in Acapulco, the German has only won three matches in five tournaments and admits he is in a dilemma, “I’m in a hole and I don’t know how to get out of it,” the German explained. The German now has titles in Munich and Madrid to defend before final points in Rome as he goes through the toughest time of his career. As for Jarry he will now play Grigor Dimitrov or Fernando Verdasco in the third round. Reigning US Open and Australian champion and world number 1 Naomi Osaka has been drawn in the same quarter as two-time champion Angelique Kerber and Hsieh Su Wei at the Porsche Tennis Grand Prix in Stuttgart, which features six of the top 10 players of the WTA Ranking. 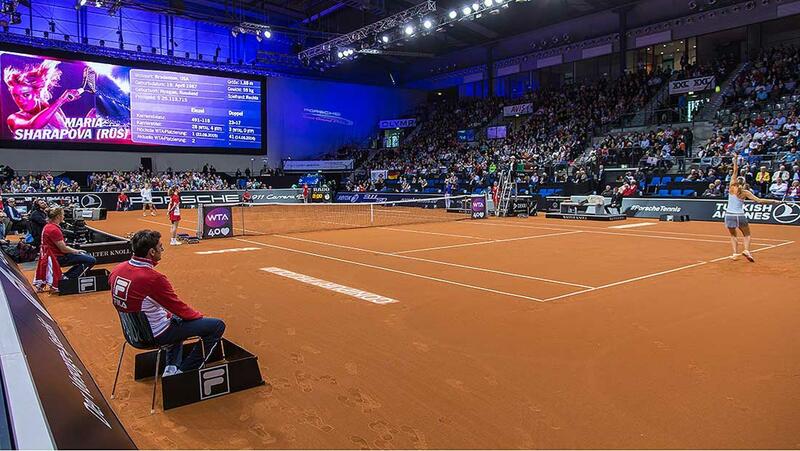 The tournament takes place on indoor clay at the Porsche Arena in Stuttgart. Osaka will make her second appreance in the star-studded Stuttgart tournament after losing to Great Britain’s Johanna Konta in the opening round in 2017. The Japanese player, who is receiving a bye from the opening round, is on a collision course for a possible second round match against Hsieh Su Wei, who will make her debut in the Stuttgart tournament against Qiang Wang in the first round. 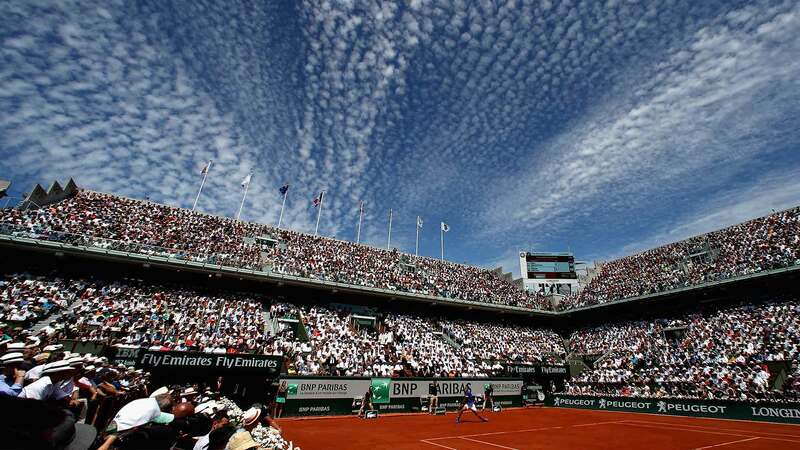 Last year’s Roland Garros champion Simona Halep could face crowd favourite Andrea Petkovic in the second round. The Romanian player could meet either Kiki Bertens or this year’s Dubai champion Belinda Bencic. Defending champion and this year’s Miami champion Karolina Pliskova will take on the winner of the blockbuster match between Garbine Muguruza and Victoria Azarenka. In this section Caroline Garcia has been drawn with Estonia’s Anett Kontaveit, who reached the semifinal in Stuttgart last year and in Miami in 2019. 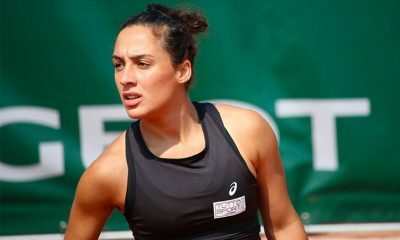 Garcia contributed to the win in the decisive doubles match alongside her teammate Kristina Mladenovic in the Fed Cup semifinal against Romania in Rouen. 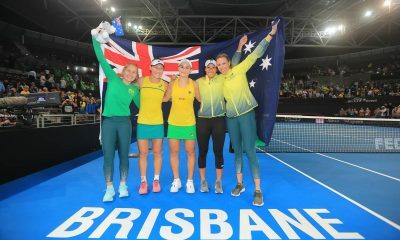 In the bottom half of the draw this year’s Australian Open finalist and Sydney champion Petra Kvitova could meet the winner of an all-Latvian first round clash between 2017 Roland Garros champion Jelena Ostapenko and Anastasjia Sevastova. 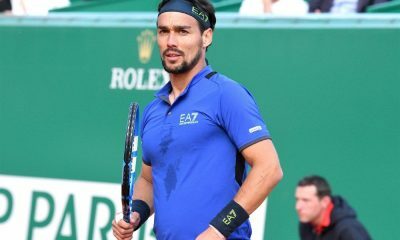 Fabio Fognini beat Dusan Lajovic 6-3 6-4 in the final of the Monte-Carlo Rolex Masters to win the maiden Masters 1000 title of his career. 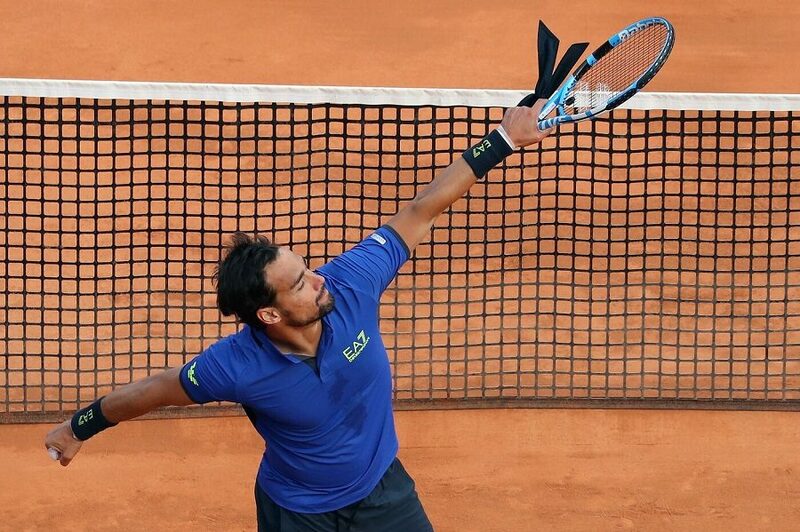 Fognini has become the first Italian to win in the Monte-Carlo Country Club since Nicola Pietrangeli in 1968. 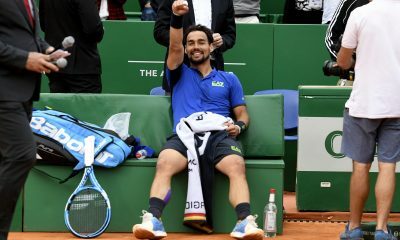 Fognini, the first Italian player to reach the final in the Principality since Davis Cup captain Corrado Barazzutti lost to Bjorn Borg in 1977, is the lowest player to win the Monte-Carlo Rolex Masters title since Gustavo Kuerten in 1999. 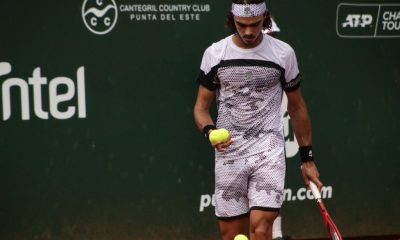 Fognini was on the verge of defeat in the first round when he trailed 4-6 1-4 during the second set against Andrey Rublev. In the next rounds Fognini went on to beat 2018 Nitto ATP Finals champion Alexander Zverev in the third round, Borna Coric in the quarter final in another three-set match after trailing 1-6 0-2. 11-time Monte-Carlo champion Rafael Nadal in the semifinal and Dusan Lajovic in the final. In his first head-to-head match against Lajovic Fognini saved two of the four break points he faced and broke serve four times. The Italian player hit 19 winners to 23 unforced errors, while Lajovic produced a ratio of 16 winners to 36 mistakes. Lajovic earned the first break of the match in the third game to take a 2-1 lead, but Fognini broke twice in the fourth and sixth games to win five of the next six games. Both players traded breaks in the first and second games of the second set. Fognini earned the decisive break to take a 3-2 lead, when Lajovic sent a forehand long. 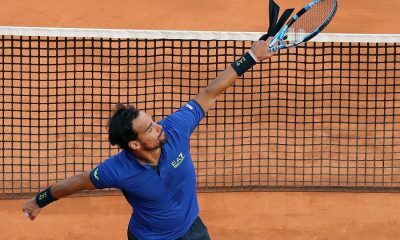 Fognini received a medical time-out to treat his ankle, but he held his next three service games to close out the match with a service winner on his second match point. Fognini will reach his career high of world number 12 just 5 points behind Marin Cilic. He is just 250 points away from the top 10. “I was born near Monte-Carlo and it’s awesome to win this tournament. Congratulations to Dusan. You have a great team. your coach José Perlas trained me in the past. Continue to work hard. It will be your time soon. I thank my team. This year I started badly. Thanks to my wife Flavia for her support. Thank to my town Arma di Taggia. I want to thank the Tournament Director Zeliko Franulovic. I dedcate this trophy to my mother, who will celebrate her birthday tomorrow”, said a delighted Fognini during the award ceremony.